We want you to have all the information possible about what you’re consuming. Please let us know if you have any other questions and we’d be happy to get back to you with answers. Q: Why Buy a CSA? No, not technically. There is an annual fee for organic certification that we feel is unnecessary, and direct marketing allows our customers to ask us about our growing practices or visit the farm themselves. Our practices are driven by a philosophy of working with nature rather than regulatory guidelines. Don’t use any chemicals, which disrupt the soil food web, kill beneficial insects and make the product less healthy for the consumer. Add non-edible flowers and plants to our farm to increase biodiversity and attract beneficial insects. Keep tilling to a minimum. 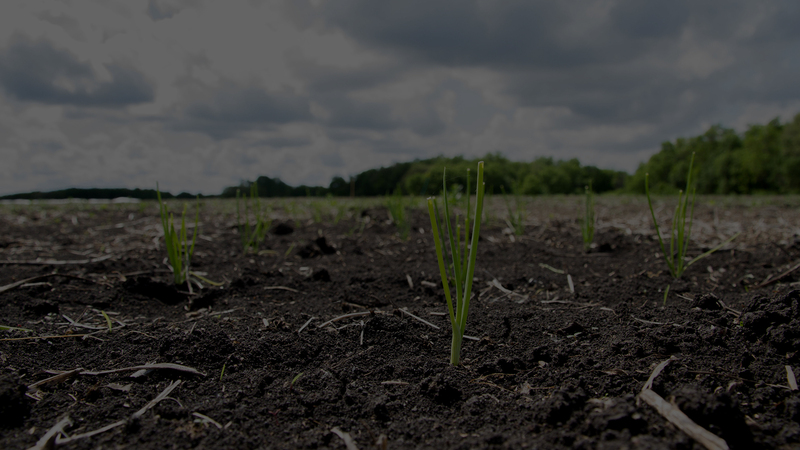 Tillage damages soil structure and harms earthworms and microorganisms beneath the soil surface. Use floating row covers to protect crops that are particularly vulnerable to insect damage. Floating row cover allows light and water to reach the plants while keeping out the bugs and critters that want to snack on our veggies. Q: Why is your CSA only 15 weeks? Our short Manitoba growing season means that the only vegetables available from mid-June to early July are herbs, greens, radishes and turnips. We prefer to start our CSA in late June so that we can provide a more substantial and varied box for our members. Shares start small in late June and increase in variety and size as more produce becomes available during the growing season. Payment is due upfront, and the CSA costs $350 (early-bird pricing at $325 has now ended) for the season, which runs 15 weeks. Beginning in late June, you’ll get a box of seasonal vegetables every week until late September. You can pick up your vegetables at the South Osborne Farmers’ Market every Wednesday between 4-8pm, at the River Heights Farmers’ Market on Fridays between 12-5pm or at our farm which is just outside of Niverville, MB (date & time TBA). Our CSA works out to roughly $21/week, and on a good year, you can expect to receive as much or more vegetables than you could buy for the same price at a grocery store. However, CSA’s include sharing the risk inherent in food production, so if one or more of our crops are not doing well, this will be reflected in the vegetables you receive. For more information on the ‘risk’ involved in buying a CSA, you can contact us or visit CSA Manitoba’s Website. Q: How Many People Does a CSA Share Feed? That’s always a tricky question, because every person has different diets and eating habits. We say one CSA share will feed approximately two adults. Those are two adults that are eating salads at lunch and dinner and enjoying carrot sticks and open faced tomato sandwiches for snacks. The farmers at Natural Collective CSA go through the equivalent of one to two CSA shares individually. So if you live for veg and enjoy a dinner of a giant salad with homemade herb dressing, you may find you can eat one CSA share all by yourself. Conversely, if you treat vegetables as a side or just a garnish, you may find that one CSA share can feed a family of four to six people. Interested in a 2019 CSA box? Click here to fill out an order form and secure your spot.